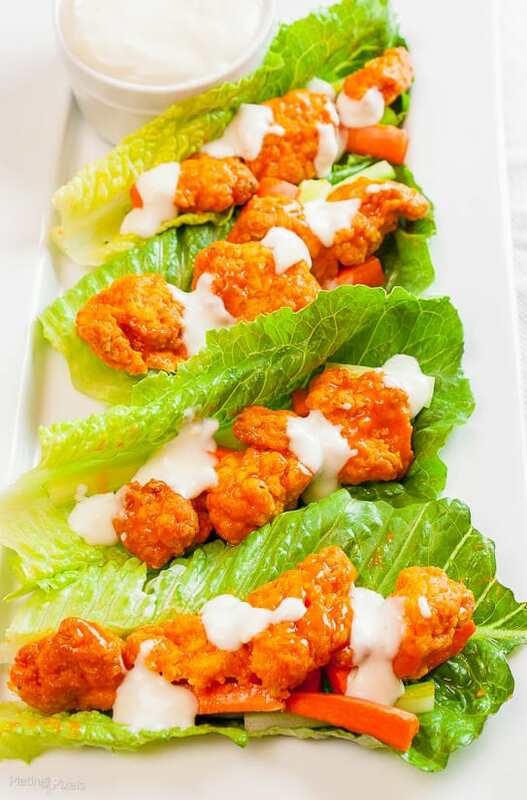 Buffalo Chicken Lettuce Wraps with Blue Cheese Dressing made simple in less than 20 minutes for an easy, rich, tangy and spicy party appetizer. Learn how with buffalo chicken, carrot, celery and blue cheese in lettuce wraps. Are you ready for a fun one? 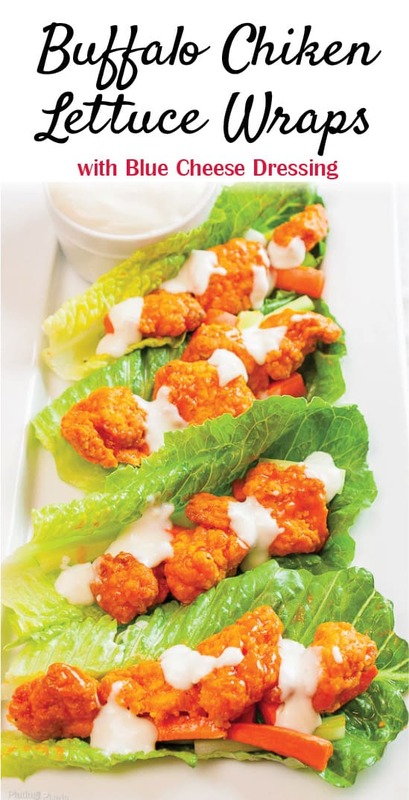 Today I’m sharing a snack hack with these Buffalo Chicken Lettuce Wraps and Blue Cheese Dressing. Save lots of time with ready-made breaded chicken. Simply bake, toss with sauce and assemble the lettuce wraps. Just 6 ingredients is all you need to make quick and Buffalo Chicken Lettuce Wrap appetizers for your next party. 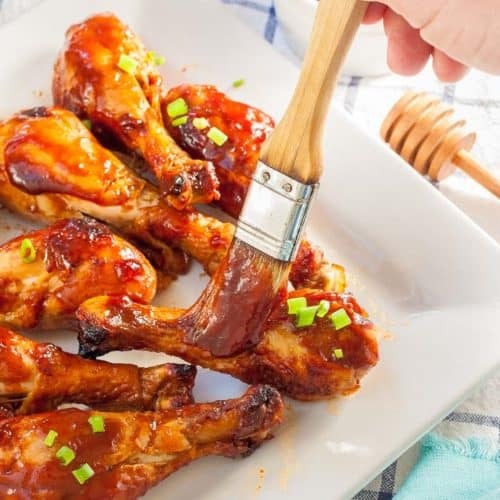 Buffalo sauce: It wouldn’t be buffalo chicken without buffalo wing sauce for tangy flavor with a bit of spice. I prefer Frank’s buffalo sauce. Blue cheese dressing: The ultimate pairing to buffalo sauced chicken. Drizzle onto buffalo lettuce wraps and also serve on side. Bake in oven according to package directions. Usually 425º F. for 15 minutes, rotating halfway. Coat with buffalo sauce. 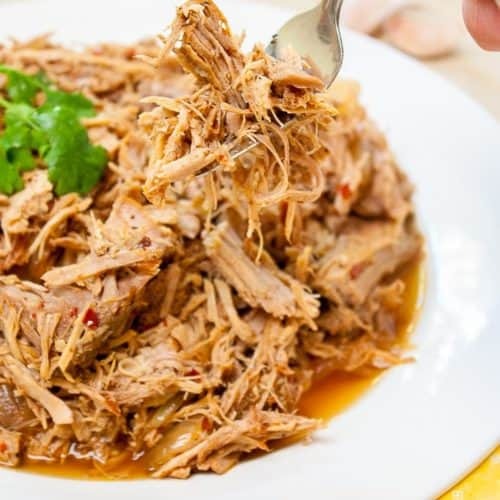 It packs a lot of tangy flavor, with just the right amount of spiciness. 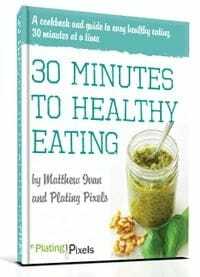 Place onto romaine lettuce leaves, along with slices of carrots and celery. Drizzle with blue cheese dressing as a perfect complement to the buffalo sauce flavor. A few ingredients and less than 30 minutes is all you need for this perfect snack hack appetizer recipe. 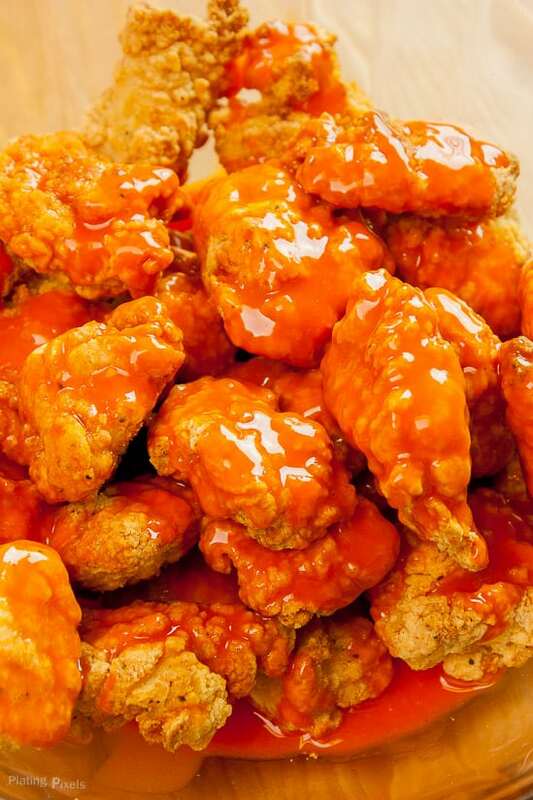 Flavor profiles: Rich and tangy buffalo chicken flavor, with a bit of spice. Paired with pungent and cool blue cheese dressing. Texture: Tender, crunchy coated chicken in a moist sauce. Nice crunch from the fresh veggies. Dietary Options/Substitutions: If you’re not a fan of blue cheese, substitute ranch dressing. Rich and tangy buffalo chicken with carrots, celery and blue cheese dressing in lettuce wraps. 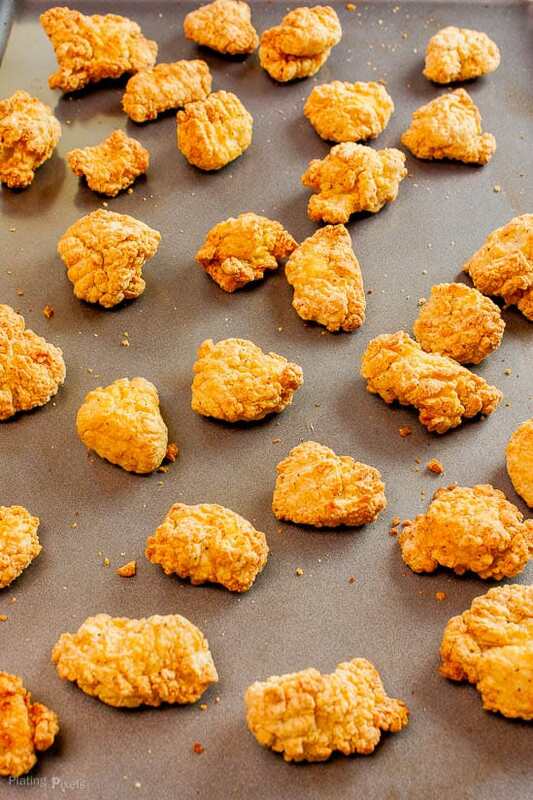 Preheat oven to 425º F. Place frozen chicken pieces in a single layer on a large baking sheet. Bake for 8 minutes. Rotate pieces and bake for 8 more minutes, or until heated through and crisp on the outside. Remove from oven and cool slightly. 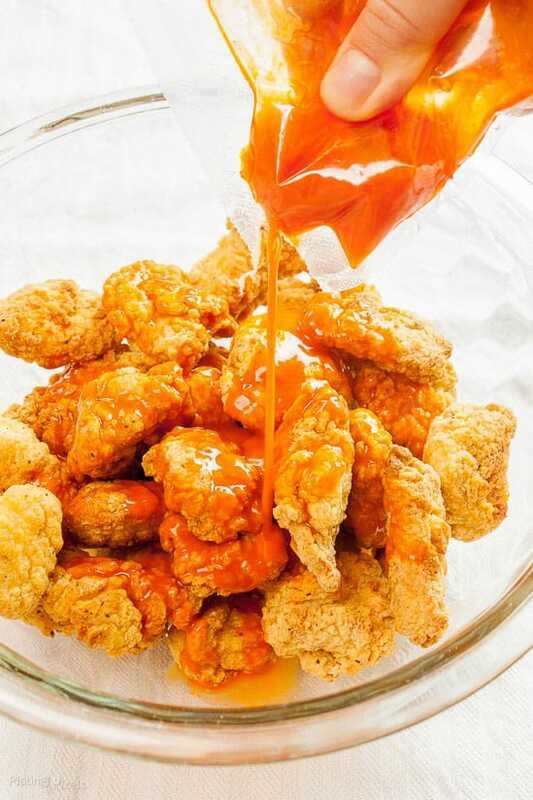 Place chicken pieces in a large bowl and toss with buffalo sauce to evenly coat. Wash and dry all veggies. Slice carrot and celery into thin strips, about 1-inch long. Evenly distribute buffalo chicken, carrots, and celery into center of each lettuce leaf. Drizzle on desired amount of blue cheese dressing. 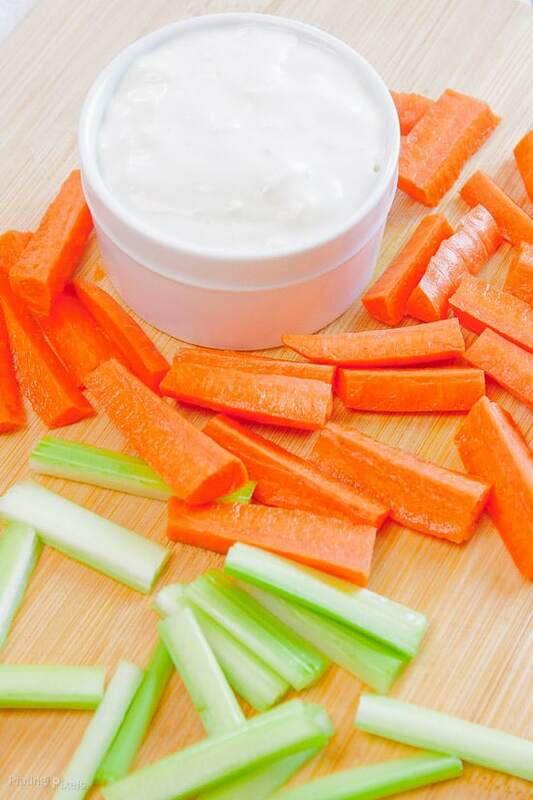 Serve immediately with side of blue cheese dressing for dipping. Baking instructions for buffalo chicken pieces are a general guideline. Follow package directions. If bringing to a party bake chicken ahead of time, but assemble buffalo chicken wraps there for easier transporting. Are you excited about this contest and what is your snack hack? These would be perfect for that. Thanks Michelle! Two of my favorites – Buffalo chicken and blue cheese. I don’t like the chicken to be too hot but a little heat and the tang of the cheese are a perfect match. I’m the same way Robin. The tang helps to tame the heat a bit. Thanks! I love these with the wrap idea– such a nice way to add a little green into a fun snacking meal! It sure is. A bit of veggies never hurt. Thanks Emily! Your pictures make these look great! I’m hungry now. That’s so nice of you! Thanks Barb! 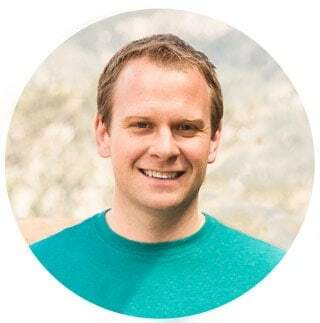 Matt! These look great. I love how easy they are. Hmmm… what I could do w/ 10k! I know, so much to do with that! yummy! I love anything buffalo’d! To the point and well said. Thanks Kayleigh! Those look so good! I love buffalo chicken so I will definitely be trying this! Thanks for sharing!!! You’re welcome and thanks so much for the nice comment Ana! I will have to remember this for our next get together. I hope you do. Thanks Melanie! These look quite delicious! And they look simple, which I love! They sure are and that’s the point of these. Thanks Julie! I bet he would! Thanks Reesa! I love buffalo chicken so this is right up my alley! Those are definitely up my alley! Love buffalo chicken! Me too! Glad you like them Michelle. Thanks! Looks great, and such an easy appetizer for a party, too! I totally is! Thanks Leah! I recently made something very similar to this but I breaded the chicken myself and added quiona to the lettuce wraps! So yummy!! I love buffalo chicken! Sounds yummy Katie! I bet the homemade breaded is great, these are perfect if you want a quick and easy appetizer. This chicken looks so nice and crispy and I love the buffalo wrap idea. Great snack, weeknight dinner, or gameday appetizer! Thanks and it totally is Meg! These bake to be super crispy, but still nice and tender. Thanks Joanna! I’m a fan of tangy spice so these were perfect for me. 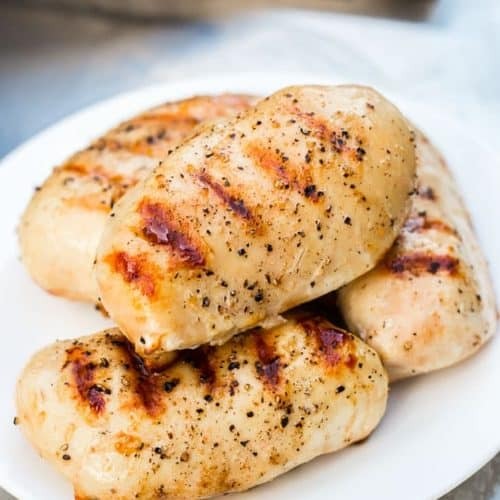 My kids love chicken bites, and I’m sure they’d love the buffalo flavor! Looks like a great recipe. Kids and adults alike! Thanks Kim! wow, these look delicious! i love ideas that take the place of bread, and of course anything spicy is good in my book! thanks for sharing! Thanks Kristen! I love bread but sometimes an alternative is good too. You’re welcome! This looks delicious and like something our youth would really enjoy!! I’m pretty sure they would! Thanks Lucy!